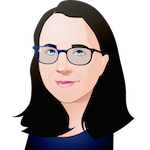 Catherine Dill is a research associate at the James Martin Center for Nonproliferation Studies at the Middlebury Institute of International Studies at Monterey. Her work includes using open source tools for defense and nonproliferation research, geospatial analysis, trade data analysis, understanding China’s nuclear and missile programs, studying illicit procurement networks in Asia, and industry outreach and training on strategic trade controls. She holds a MA in Nonproliferation and Terrorism Studies from the Middlebury Institute of International Studies at Monterey, and a BS in Foreign Service from Georgetown University’s Walsh School of Foreign Service. Thanks for the helpful point on the commissioned state and the observation on continuous deterrence patrols. Then I’ve regrettably overlooked some. These are the five I’ve seen at one time. Feel free to cite other instances!